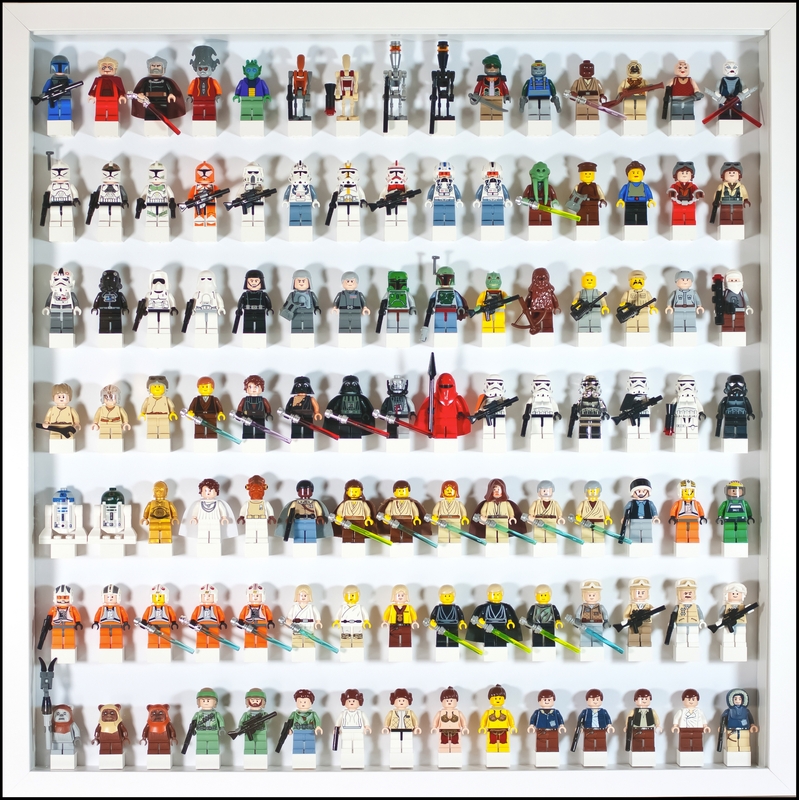 Here is my LEGO Star Wars Minifigs collection. 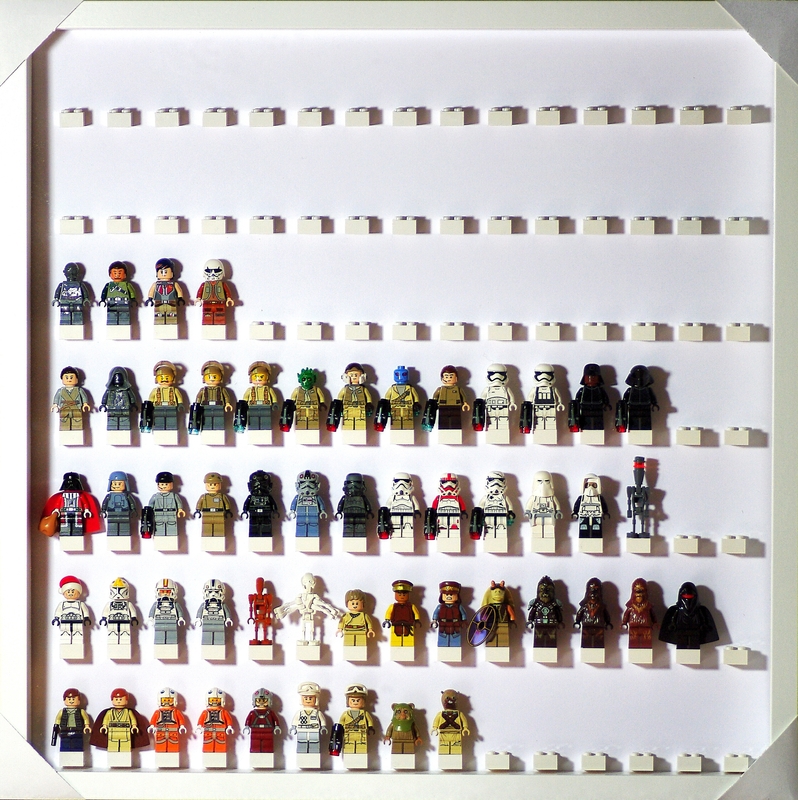 Each display contains 105 Minifigs. 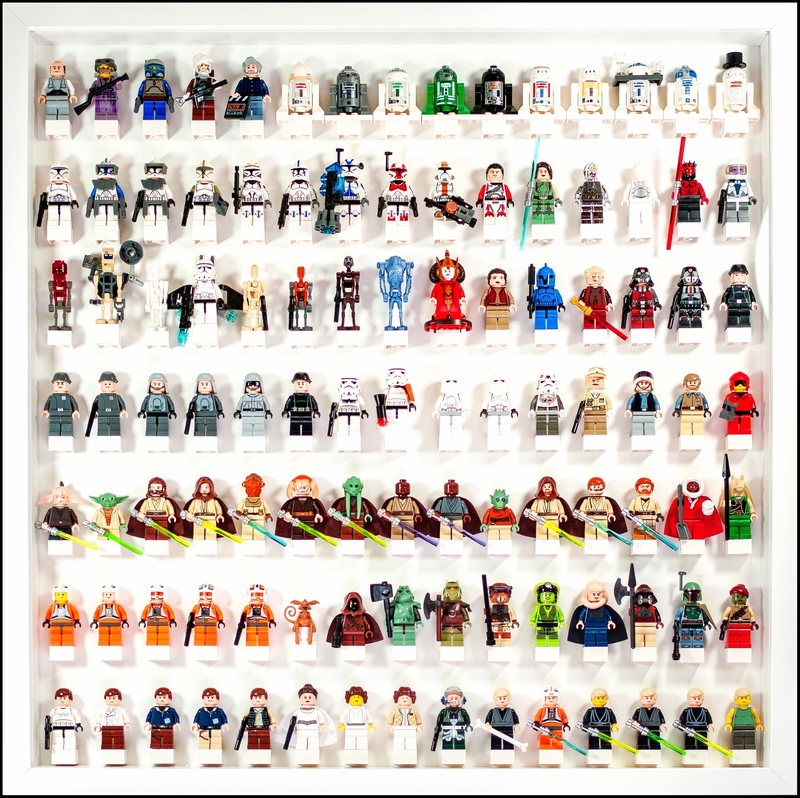 Except for some of them, which are customized LEGO Minifigs realised by talented peoples (let's try to find them ! 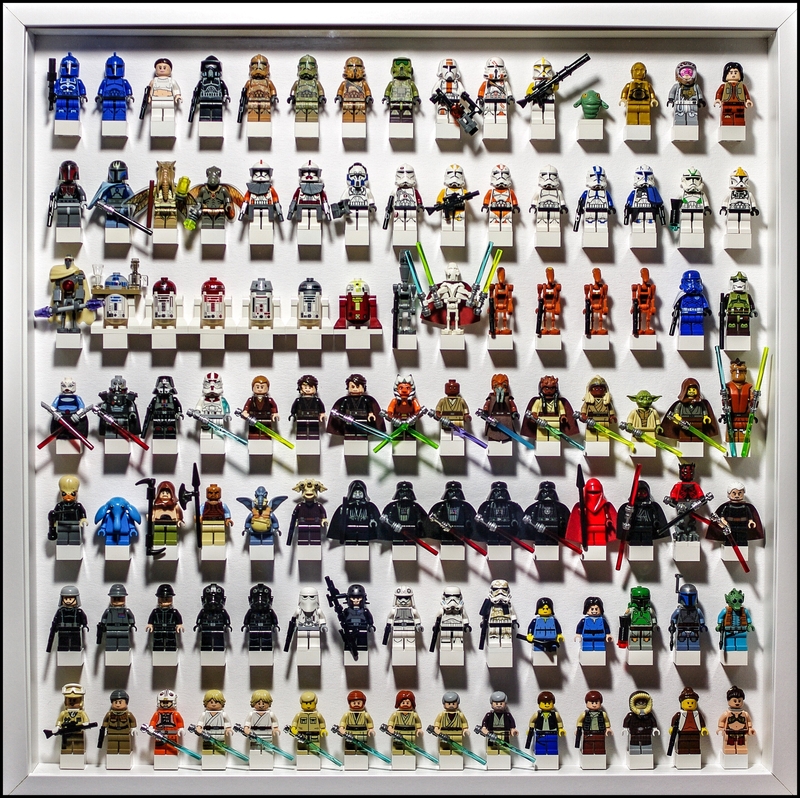 ), all are coming from the official sets LEGO launched since 1999. As you can see, the collection is still not complete, but is substantially progressing! Once the display is completed, I don't make any change. It means I avoid getting bored and having a repetitive presentation style. Why does that 60s diner guy have lightsabers? Mostly because of the expense. 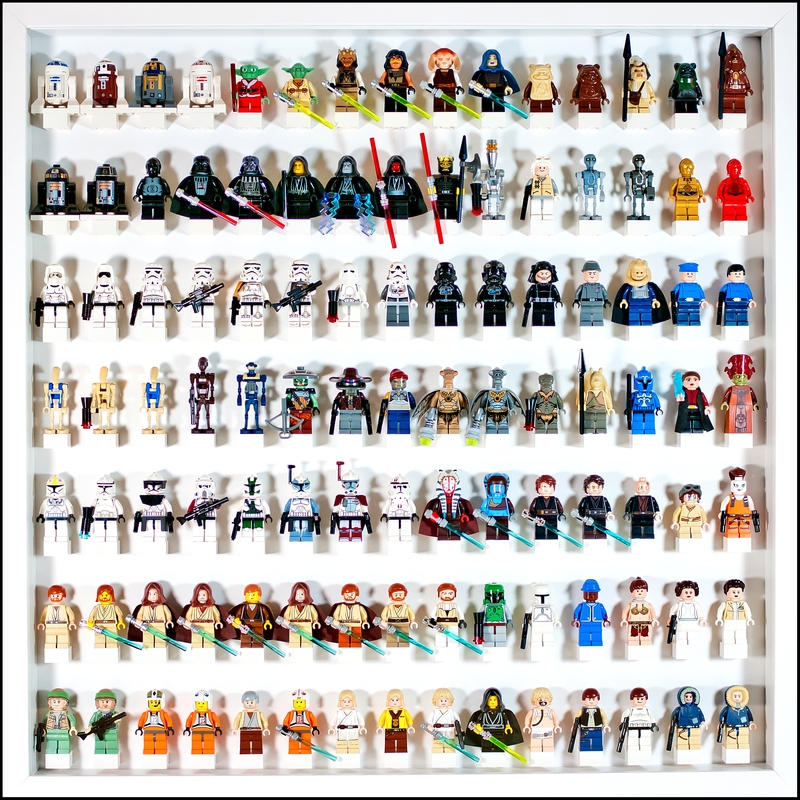 Is that George Lucas in the top row? Yep, but not the "Lego-Branded" one... It's a custom, but I really like it ! 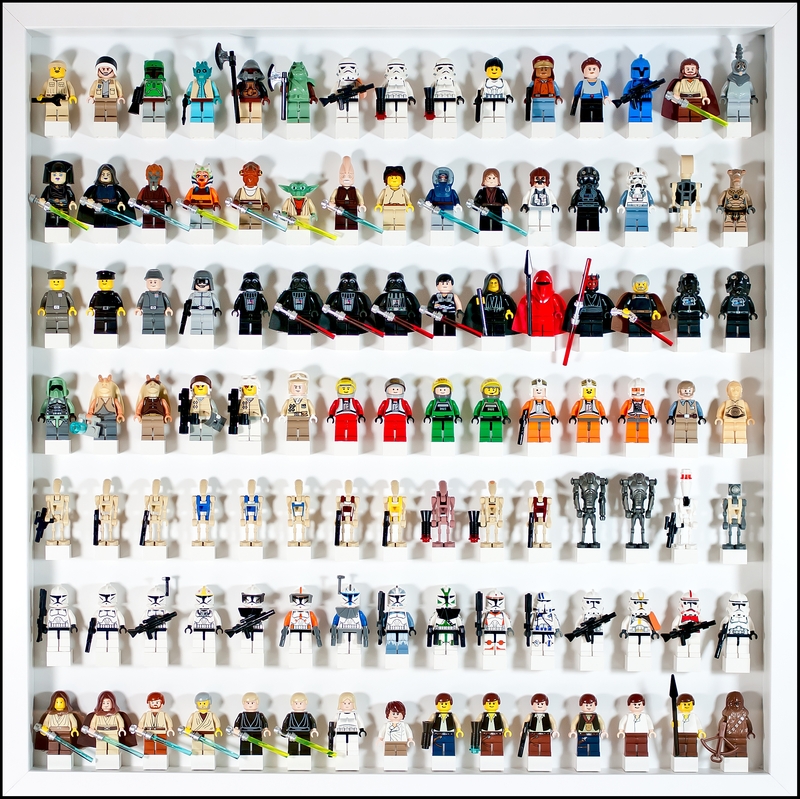 I only had 306 unique official Star Wars minifigures out of the 743 listed on Brickset database. If include duplicate ones total is around 800. Wow that's a really impressive collection!! I only just started collecting Star Wars but I'm keeping it to a seriously constricted minimum (I only want the best versions of OT minifigs + TFA, with the occasional odd character from the PT). This way I will only have the ones I really want and make it much more manageable and affordable.